At Beechwood UMC we feel called to serve in our community. We have many projects happening at Beechwood. If you are looking for a way to serve, we can help you find a project to fit your skills. Here are just a few of the things we are working on, we can always use more help. 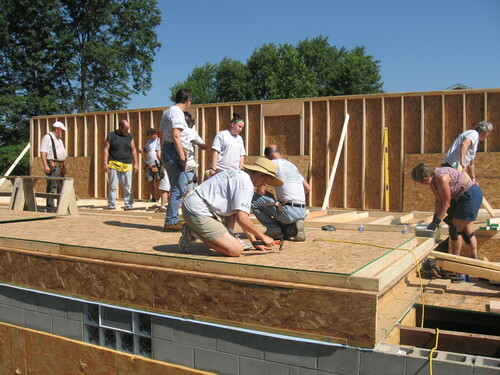 Beechwood UMC has been active with the Alliance Habitat for Humanity, since 2011. Every other summer, Beechwood and 12 other area churches have participated in an Apostle Build. The churches work together with Habitat for Humanity to build a quality home for a family in our community. Church members raise money to help with the expense of the home, through pancakes breakfasts, and member donations. Each church provides sweat equity at least one Saturday during the build. The churches also take turns providing lunches, and lead devotions for the work crews. This year our VBS theme was Over the Moat: Drawbridge to the King. It was a medieval theme, and we spent this week learning about how to get closer to our King, through stories from the life of David. Our lessons included Samuel anointing David, David and Goliath, Jonathon warns David, David honors God, and God Keeps his Word. 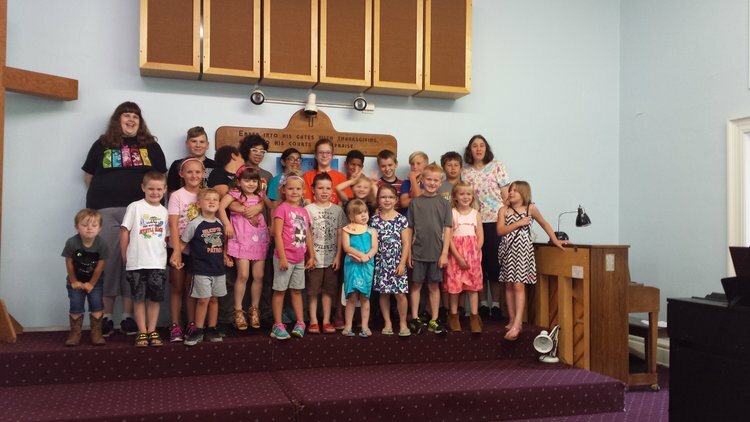 We learned stories, and memory verses from 1 Samuel, 2 Samuel, 2 Chronicles, and the Psalms. Since our we were talking about castles and kings, we had medieval themed daily activities, including crafts, music, and outdoor games. Outside, children enjoyed building a tumbling tower (giant jenga), jousting races, and a capture the crown game. They tasted yummy snacks in the feasting hall. The children created marshmallow catapults, king and queen puppets, and royal goblets at the crafter’s guild. We learned some great new songs about our King, and even had some visits from Sir Ashley the Brave! This year our VBS mission was to collect items and change for the Alliance for Children and Families, a shelter for homeless families in our community. Beechwood sends volunteers to help serve meals to the community at Calvary Mission. We also collect different non-perishable goods each month, according to their request, for their food pantry. We help bake for and serve a Thanksgiving meal each year at the mission, as well. *Calvary Mission would like our church to collect boxed potatoes for the month of December.